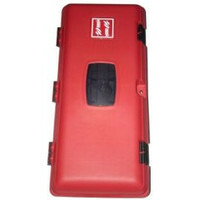 Fire extinguisher stands and cabinets provide an area where you can store your fire-fighting equipment. 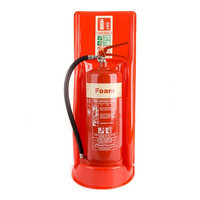 It is important to have a designated area to store a fire extinguisher so in the event of a fire you know exactly where to go to. 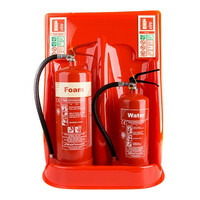 Fire extinguisher stands and cabinets help to create a designated area and deter people from moving vital equipment from a chosen location. 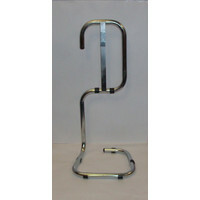 This extinguisher sign clip is ideal for affixing extinguisher signs to circular tubing such as Fire Extinguisher Stands and in particular the single or double Chrome Extinguisher Stands we supply. 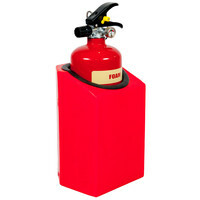 Universal fire point suitable for 2kg CO2 up to 9kg/9ltr extinguishers. 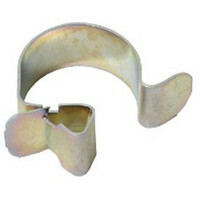 “Multi-disc” system provides stability for different sized cylinders. 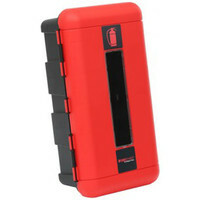 Draws attention to the location of fire extinguishers. 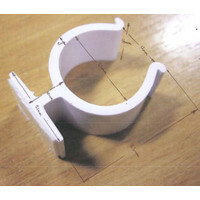 Constructed from tough and durable moulded plastic.